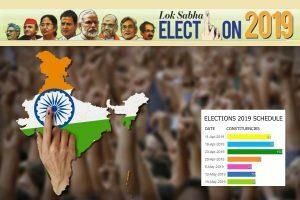 The success of the system will ensure its replication in other districts of Himachal Pradesh. Landslide monitoring and warning system deployed along Mandi Jogindarnagar highway. To ensure disaster risk reduction, landslide disaster alert technology has been installed in Mandi district of Himachal Pradesh, while installation of the same is in the pipeline in Sirmaur district. The Indian Institute of Technology (IIT) Mandi has been roped in to install these low cost landslide monitoring and warning system that will act as early warning system and monitor landslides. Revenue and Public Works Department Additional Chief Secretary Manisha Nanda said that as a pilot project two districts Mandi and Sirmaur have been selected for the installation of the landslide sensors and in it has been installed in Mandi. The success of the same will ensure its replication in other districts as well, she added. The district administration of Mandi in association with IIT Mandi has installed censors at 10 landslide prone spots. The points in Mandi district at 10 different landslide sites along the Mandi- Jogindernagar and Mandi- Kullu. The site also include Kotrupi in Mandi district that had witnessed the worst landslide in the history of Himachal in August 2017. As many as 47 people had died after they were hurried alive. Two sensor systems have been installed at Katropi village, two at Gumma village, one each villages of Narla, Decide, Hanogi, Thalot, Dawda and Pandoh. The students of IIT Mandi developed these early warning system. IIT Mandi, School of Computing and Electrical Engineering Prof Varun Dutt disclosed that these systems help to address the problem of landslides and to reduce the cost of sensing the disasters. 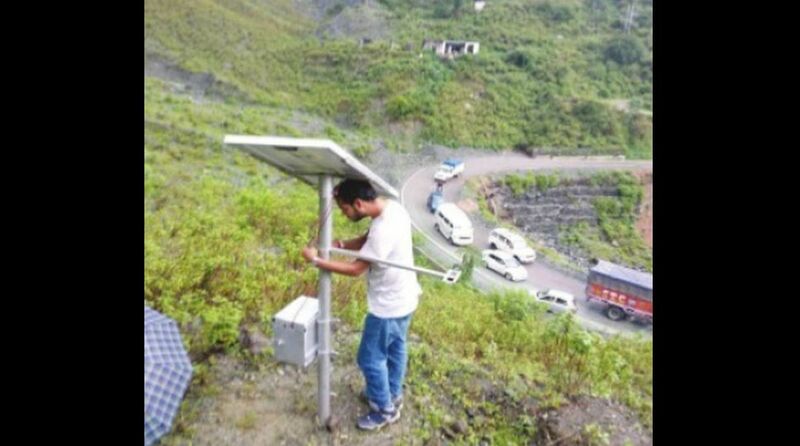 “The students of IIT Mandi have built the low-cost landslide monitoring and warning technology and the system costs around Rs 20,000 which can record weather parameters and soil properties. These parameters can be perused online on a website in both tabular and graphical formats. The system can generate warnings both locally (via blinkers and hooter) and globally (via SMSes) if there are soil movements of different magnitudes in the vicinity of the deployed system,” he said. Besides, each system has the capability of intimating population at risk about significant rainfall or soil movement events in their vicinity via SMSes, he added. The system installed recently had raised the alarm at Kutropi just before water washed the Mandi-Joginder Nagar highway a few weeks back, said Dutt. “During the recent rains earlier this week, the sensors did not report landslides at the locations they were installed and also on ground as well there were no landslides at the installed locations. However, the system did generate rain advisories for both Pandoh and Jogindarnagar area before heavy rains occurred. The automatic rain advisory was sent in the form of SMS to different stakeholders indicating more than 2.5 mm of rain with greater than 80 percent chance,” he said. The project has had been sanctioned for installation of monitoring system in Sirmaur district, however, funds are currently awaited from the district administration, he said, adding that once the funds are transferred, we can deploy the low-cost landslide monitoring system at the identified landslide sites. Site inspections were done following directions by the Sirmaur administration and six sites have been identified along the National Highway between Solan and Nahan towns, he added.